Hosted by A World View - Enjoying Walt Disney World. Disney Parks Food Writer Pam Brandon posted this summary to the Disney Parks Blog. So many favorites, so little time! 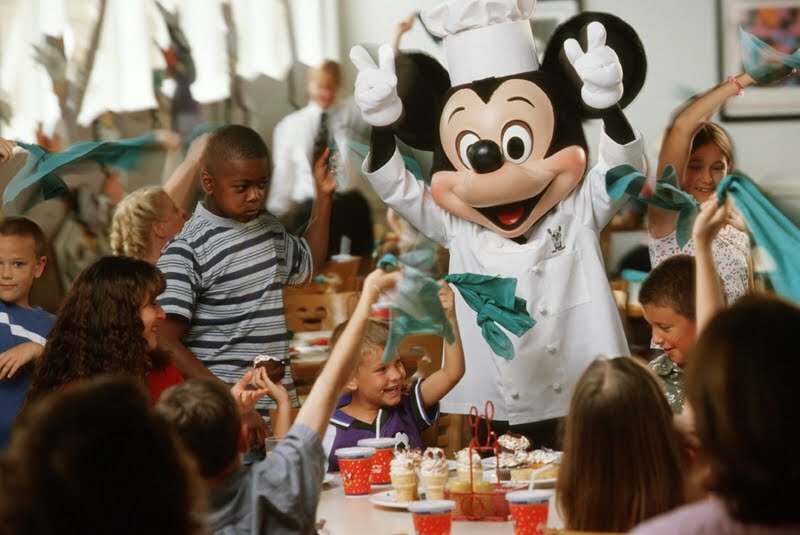 Dining with the beloved Disney characters is a fun way to get up close and snag some fantastic vacation photos – and have a delicious meal too. Here are some of our insider tips for navigating. And, please, share your tips with us too. We strongly recommend reservations far in advance – but if it’s last minute, it’s worth a try to stop by the restaurant and inquire. If you’re planning breakfast, go early – or go late. It’s a great way to wake everyone up and be ready to take on the attractions with a full tummy, or to miss the busiest times (and maybe have a little more time with the characters). Don’t forget an autograph book for the kids! The characters make a stop at every single table. They will get to yours. Best audience with the Big Cheese: Chef Mickey’s Fun Time Buffet at Disney’s Contemporary Resort. He’s in that adorable chef hat. Breakfast or dinner, both buffets are bounteous. Some of our favorite food: The Crystal Palace in Magic Kingdom Park with favorite Disney storybook friends for breakfast, lunch and dinner; The Garden Grill at The Land Pavilion at Epcot (Chip n’ Dale for dinner); 1900 Park Fare at Disney’s Grand Floridian Resort & Spa (Supercalifragilistic Breakfast and Cinderella and friends for dinner). Dream come true for little girls: “Princess Storybook Dining” at Akershus in Epcot’s Norway Pavilion for breakfast, lunch or dinner. Where to find Minnie Mouse: At breakfast at Cape May Café at Disney’s Beach Club Resort. Dressed in her best swimwear. 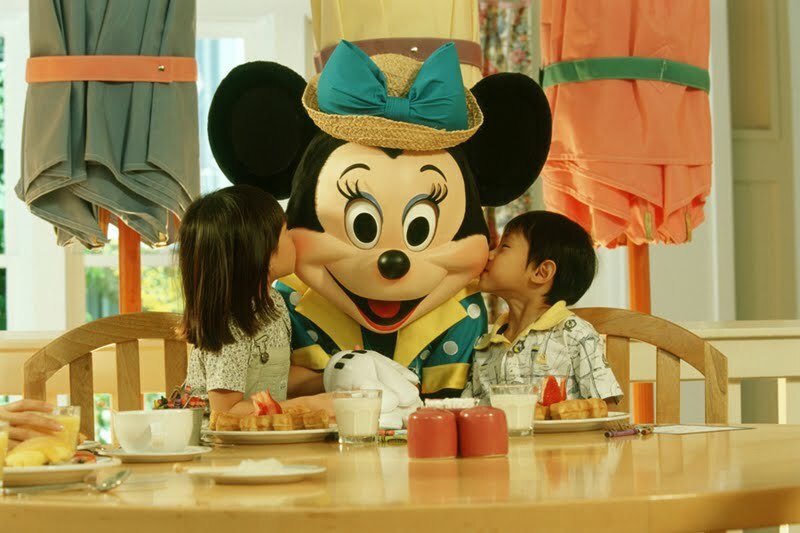 For Disney Channel fans: For little ones who love Handy Manny, Agent Oso and June and Leo from “Little Einsteins,” book breakfast or lunch at Hollywood & Vine at Disney’s Hollywood Studios. Get ready for singing and dancing. The most coveted table: Fairytale Dining at Cinderella’s Royal Table in Magic Kingdom Park. Reservations can be made 180 days in advance. No adults allowed: Wonderland Tea Party at Disney’s Grand Floridian Resort. Drop off the kids for tea with Alice and the Mad Hatter. Make an evening of it: When the weather’s right, Mickey’s Backyard Barbecue dinner show at Disney’s Fort Wilderness Resort. Speedy service: The family-style platters at ‘Ohana fill you up at breakfast, with Lilo and Stitch to keep you company. If you love Donald Duck: Start your day at Tusker House at Disney’s Animal Kingdom at Donald’s Safari Breakfast. (c) Copyright "A World View". Watermark theme. Powered by Blogger.